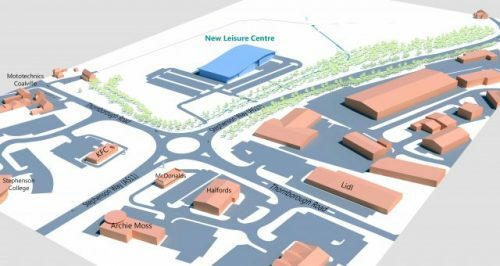 The process of finding an operator to build a new leisure centre in Coalville has begun. North West Leicestershire District Council (NWLDC) is inviting operators looking to win the contract for a leisure development and management opportunity to submit their expressions of interest. The chosen operator will design, build, operate and maintain the new centre (which will replace the current Hermitage Leisure Centre), and take on the management of both the new centre and Hood Park Leisure Centre in Ashby-de-la-Zouch. As well as the new build, the procurement also includes a key focus on Hood Park Leisure Centre and its outdoor pool. The council will look for investment and programming proposals from the operating partner to ensure that the Ashby centre continues to grow and thrive into the future. Councillor Richard Blunt, Leader of NWLDC, said: “This is the biggest commitment to leisure that this council has made in a generation and we want to get it right. The start of the procurement is an important step on our journey to creating a top quality leisure centre at the gateway to Coalville and improving the leisure offer in Ashby. “As part of our decision process, we tested the market to see if this was the kind of contract operators are looking for. We were reassured by their positive response and are looking forward to receiving interest from operators across the board who want to take on this exciting project and work with us on our health and wellbeing agenda.